HENNA: A plant dye used to stain the skin of brides in the Sephardi tradition. Sephardi Jews sometimes make henna parties for the bride and groom in the week before the wedding. During the henna party, the oldest member of the family smudges henna on the palms of the bride and groom’s hands with the intention of bestowing upon the couple elements of a happy life. See Rachel and Emile’s engagement party for an example of a Henna Party. 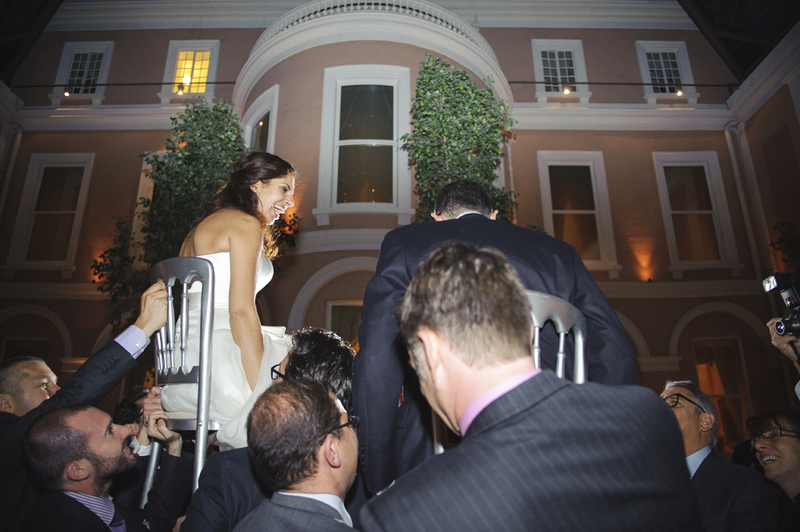 HORA: Celebratory dance in which bride and groom are lifted up on chairs (don’t eat too much beforehand or it really can be a horror). KASHRUT: Jewish dietary law (often gets in the way of serving a ‘seafood feast’ at a Jewish wedding). 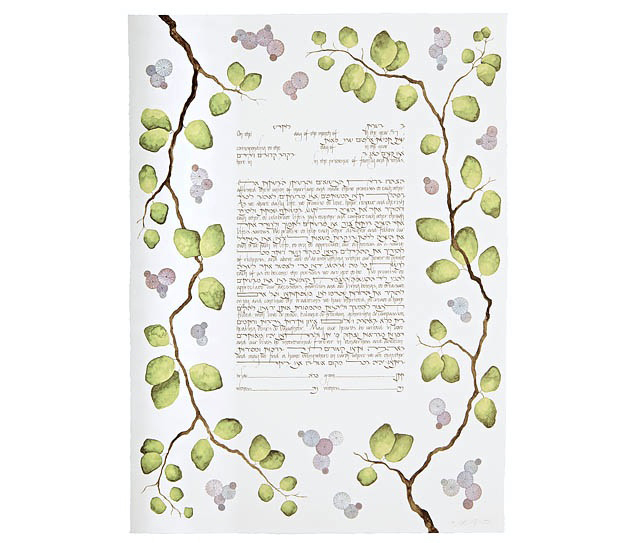 KETUBAH: The Jewish marriage contract. KIDDUSH: The traditional Jewish blessing and prayer recited over wine. KIDDUSH CUP: The Jewish wine glass or goblet which is used on Shabbat, Jewish holiday meals, and under the chuppah. It’s often an heirloom that has been passed down through the generations, but any cup can function as a Kiddush cup if necessary. KIPPAH / KIPPOT Head coverings for men. Alternative words are ‘yarmulkas’ or ‘cupples’ (and extremely handy for covering up premature bald patches). KITTEL: A white linen robe worn by male Jews in some Ashkenazi communities on special occasions to signify purity, holiness and new beginnings. 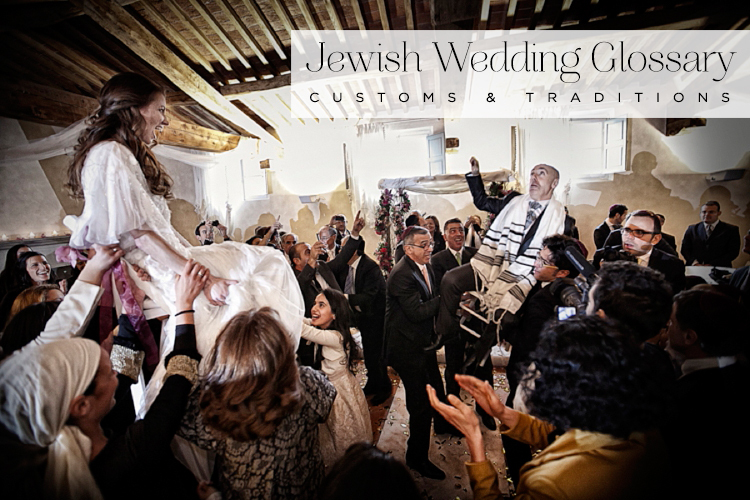 Traditionally, a Jewish man first wears a kittel on his wedding day, thereafter on Rosh Hashanah, Yom Kippur and Passover, and ultimately as a burial shroud. 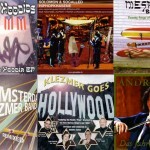 KLEZMER: Traditional Yiddish celebratory music often danced to at Jewish weddings (a lot of clarinet). KOSHER: Food that meets Jewish dietary restrictions (which means that lobster and langoustine are off the menu). 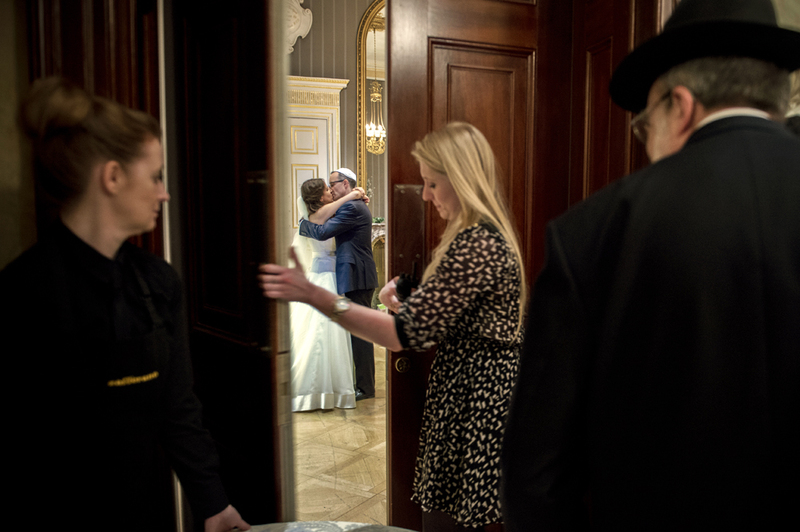 MECHITZA: A partition used to separate men and women in some more Orthodox Jewish weddings. MIKVAH: A ritual purification and cleansing bath that orthodox Jewish brides-to-be take shortly before their wedding day. MITZVAH: A good deed. (Some say it’s a mitzvah to be mighty with your wife or husband on a Friday night). MIZRAHI: Jews of Middle Eastern descent. SEPHARDI: Jews of Spanish, Portuguese, and North African descent. SHABBAT: Jewish Sabbath beginning Friday at sundown and ending Saturday at sundown (basically a weekly get-together with lots of food, chit-chat and family). 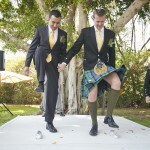 SHEVA BRACHOT: The seven marriage blessings recited under the chuppah, also known in Hebrew as ‘birkot nissuin’. SIMCHA: A Jewish party or celebration (and never complete without food). TALLIT / TALLIS / TALIT / TALIS: A prayer shawl – often white in colour with fringed corners – worn over the head and shoulders by Jewish males during religious services. 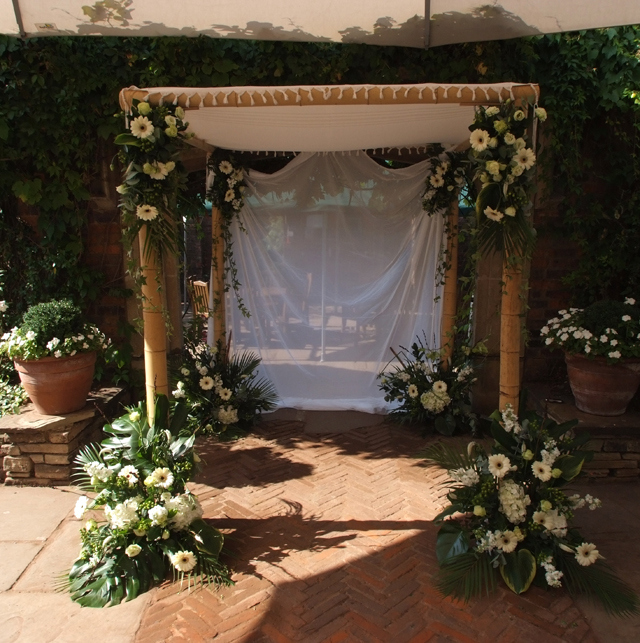 It is sometimes also used as a symbolic chuppah canopy. 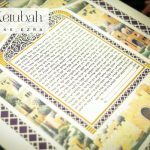 TORAH: The first five books of the Hebrew Bible. (otherwise known as the Old Testament). Have I missed anything out? 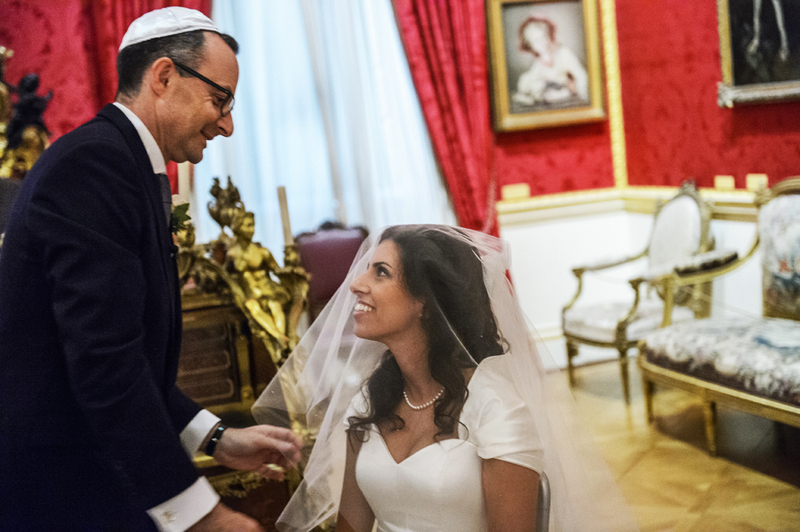 Let me know any additional words or definitions that might be of help for the ultimate Jewish wedding glossary, in the comments section below.